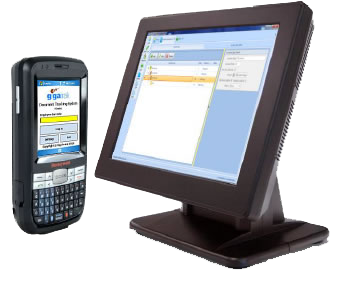 The GigaTrak Document Tracking System is a flexible solution for nearly any organization that needs to track documents and materials assigned to a person or location. With a low cost of ownership, your return-on-investment is just a matter of weeks away! Know where your documents are and retrieve them quickly when necessary! 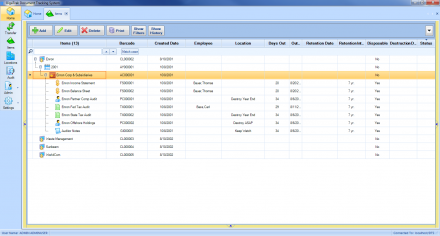 How to Use Document Tracking Software? How Do I Transfer Items? What Options are Available to Transfer Items? All insurance firms, law offices, government agencies, corporations, and many others can benefit from knowing where important documents are located. The challenge is making it easy to record when and where items are moved. Our Document Tracking System uses barcodes to identify employees, locations, and material items keeping costs low yet accuracy high. The user simply scans the employee or location barcode and then each document barcode being assigned. Documents can then be located quickly with a full chain of custody report available. Simple, effective, and quick to implement! The GigaTrak Document Tracking System can help you track where your documents and material items are quickly and easily! Every organization has documents and materials that must be tracked until you no longer need the items. Our Document Tracking System gives you advanced flexibility within a simple easy-to-use solution! 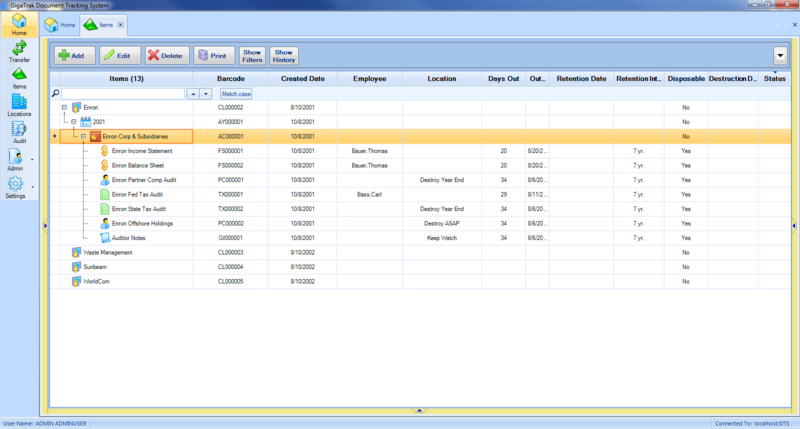 Both the Location Type and Item Type functions allow you to create any structure that matches how you run your business. Documents are then created, barcode labels printed, applied, and transferred to a location or employee! A complete chain-of-custody history is then maintained. 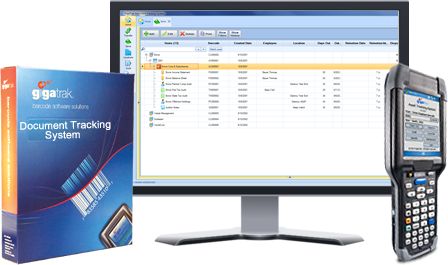 Who Uses Gigatrak Document Tracking System? DTS is used by School Districts, Universities, K-12 and other Education Institutions. You can track material items for Staff, Student, and Faculty members alike. Businesses of all types rely on DTS to meet their document tracking needs. Our customers provide services in technical, financial, medical, entertainment, and other industry segments. Local, State, and Federal government agencies look to GigaTrak for their Document Tracking needs. Police, Fire, Military, Embassies, Space & Aeronautic, Municipalities and governing groups are some examples of existing DTS users. Electrical, HVAC, Construction, and Industrial companies use GigaTrak Document Tracking to manage the large volume of equipment critical to their day-to-day operations.